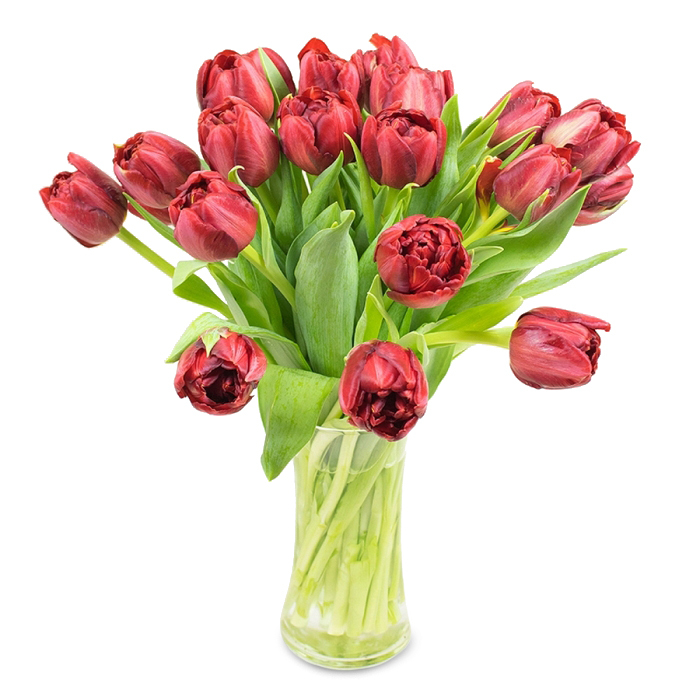 Enjoy the freshness of spring with a lovely bouquet of red tulips. Beautifully hand-designed, fresh and vibrant, this romantic bouquet is a really thoughtful gift that is guaranteed to bring a smile on someone's face! The best florist in the area! The team is great. They are not only very friendly but try to accommodate your preferences in the best way possible. Super fresh and vibrant flowers! Freshly picked tulips. Delivered on time. Thanks a lot. Great experience with this company. Flowers were delivered properly and they were safe. The best flower company I've used so far. Red tulips are a real classic! In my opinion it is the best spring bouquet that you can chose!